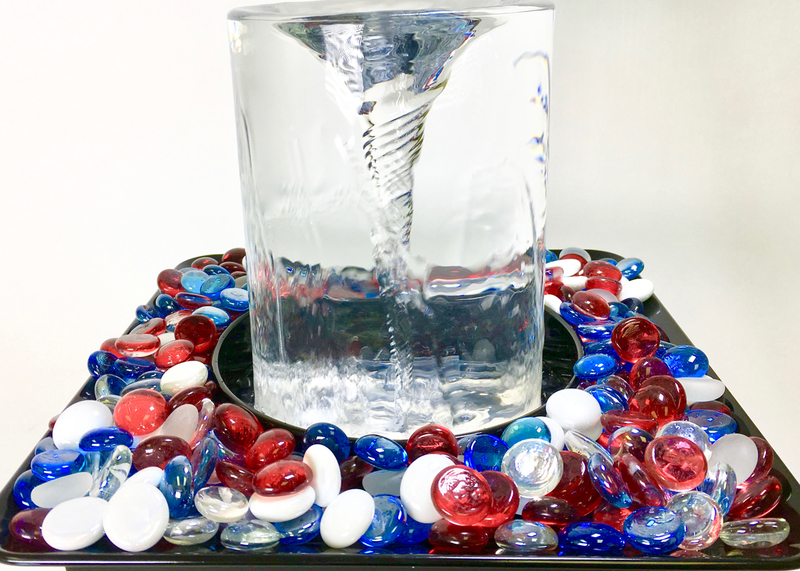 Be the first to have your own Vortex Fountain! 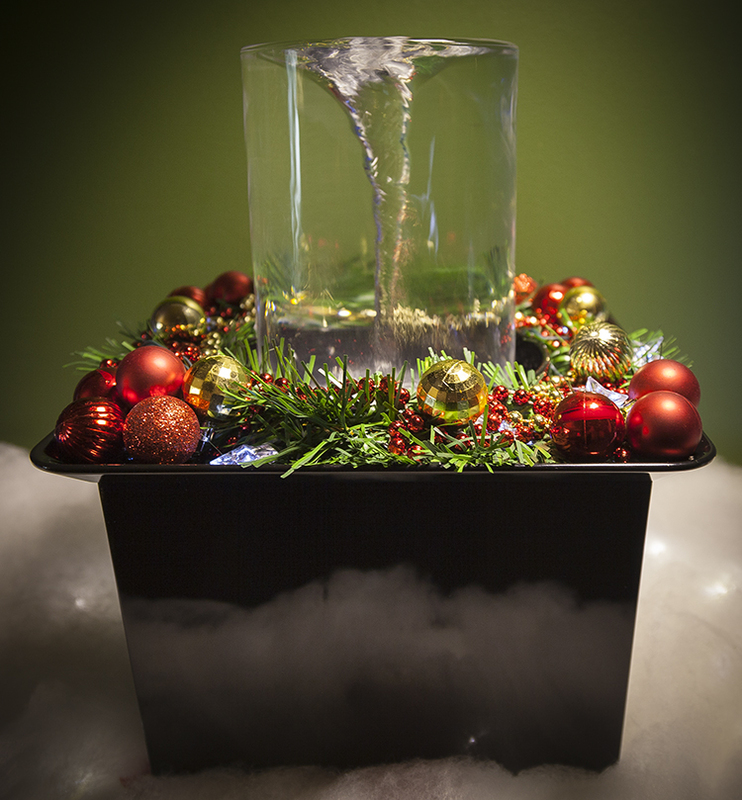 The tabletop Quox Creek® Vortex Fountain is available right now for ONLY $149! 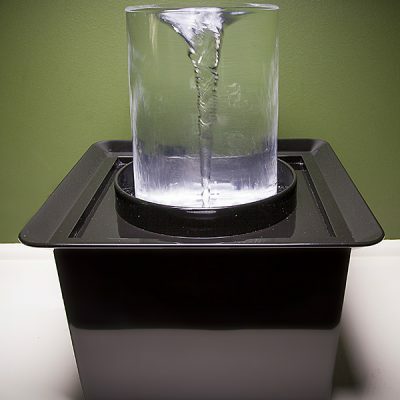 How do you decorate YOUR Vortex Fountain? 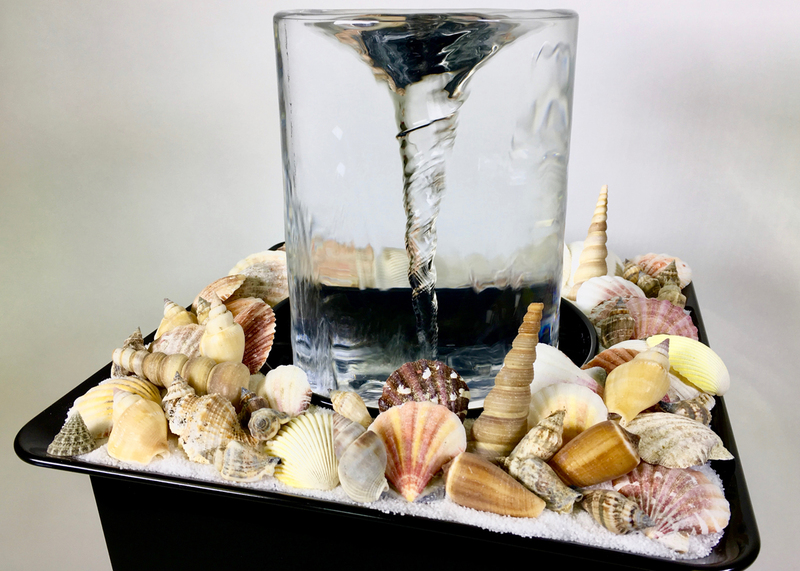 There are endless ways to express your creativity with the Quox Creek Vortex Fountain. The decorative tray makes it super easy to personalize, customize, or celebrate any occasion. Add decorative beads. 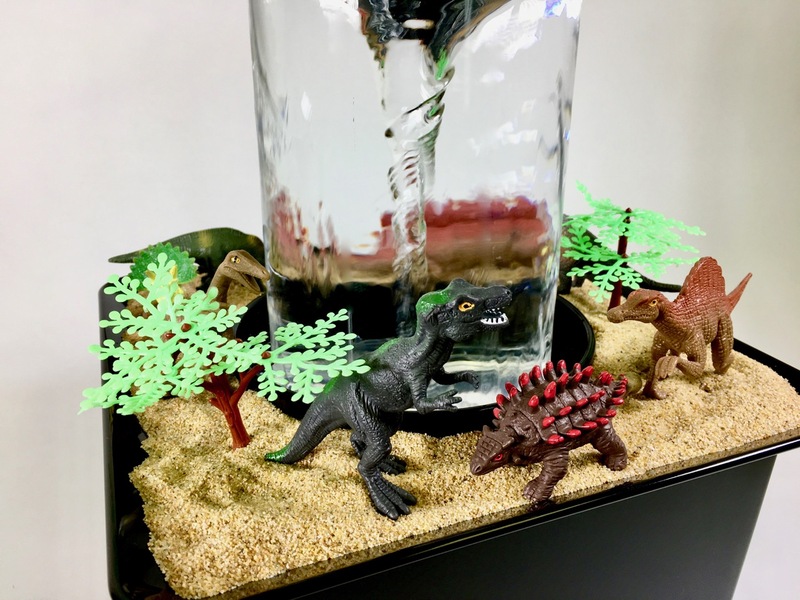 Create a scene straight from Jurassic Park. Add to the feng shui with a Zen garden. The possibilities are endless! We want to see your creativity! Share photos of YOUR fountain! Sign up for the Quox Creek® newsletter to receive email updates with Vortex Fountain news, special coupons, and new product announcements! 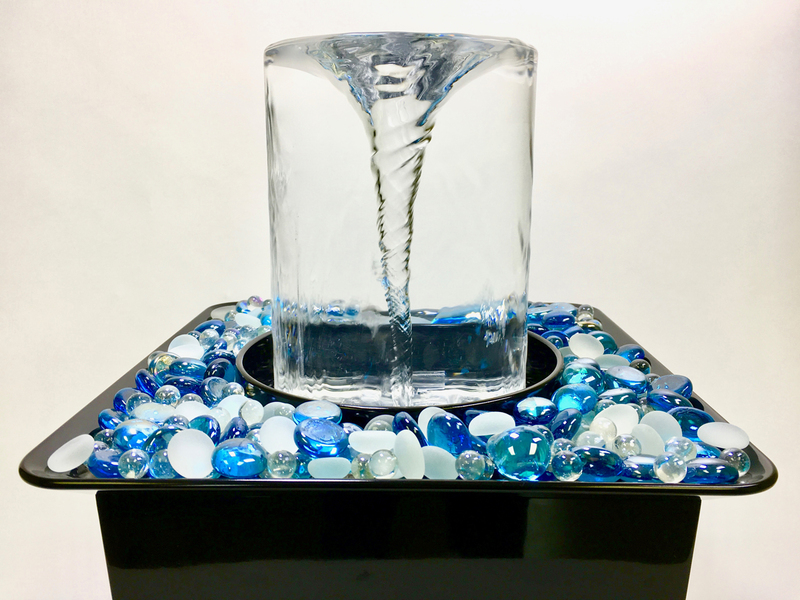 Your tabletop Quox Creek® Vortex Fountain will provide low-maintenance, relaxing ambiance in your home or office. Unique visual in any room. Soothing sound of falling water. Decorate for any season or holiday with the lift-off decorating tray. We are fascinated by video of tornadoes as they drop out of the sky and wreak havoc across the landscape. It’s a Hollywood ad YouTube staple. Natural vortices can be the most terrifying, dangerous, and deadly forces in Mother Nature’s arsenal. The Quox Creek Vortex Fountain captures the monster, tames it, and turns it into a calming, relaxing, soothing work of art. 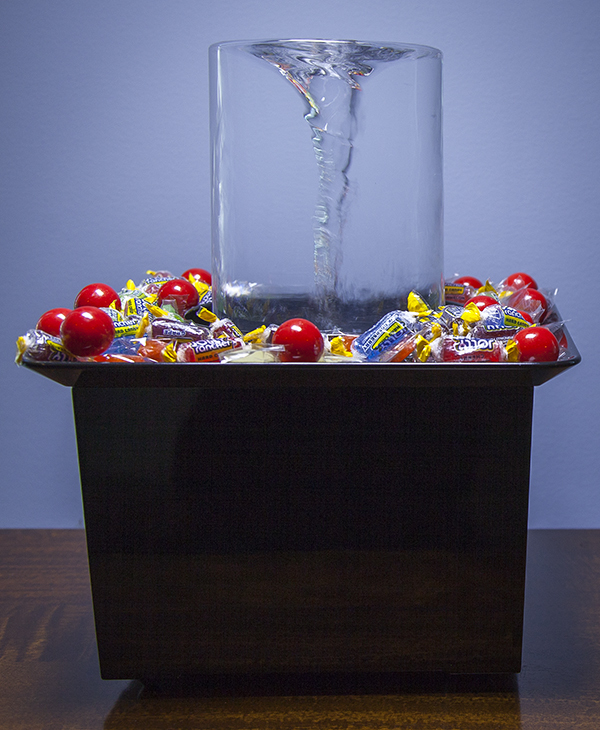 You’ve had other fountains on your countertop. They always seem to make a mess as the water splashes out of the container, creates rings on your table, ad leaves you with clean-up duty. The Quox Creek Vortex Fountain’s unique, patent-pending design channels water smoothly to prevent splashing. 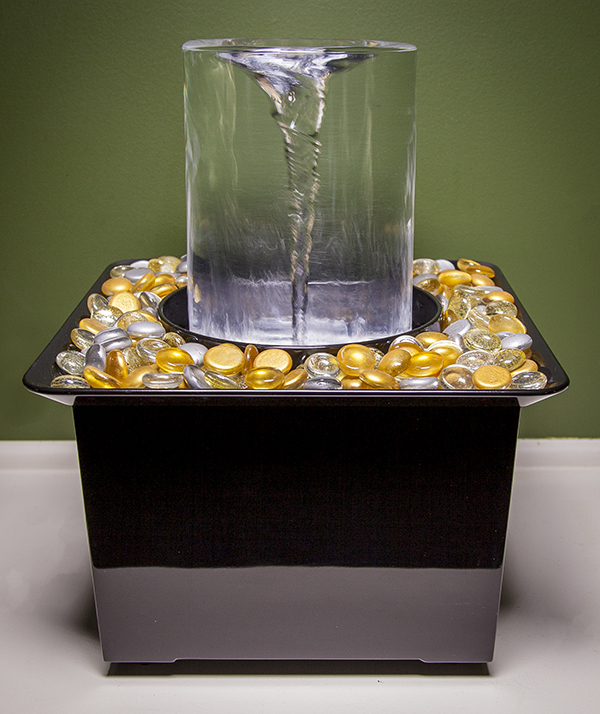 The Vortex Fountain gives you all the wonderful ambiance without the high-maintenance upkeep! Just add a little water now and then and enjoy! 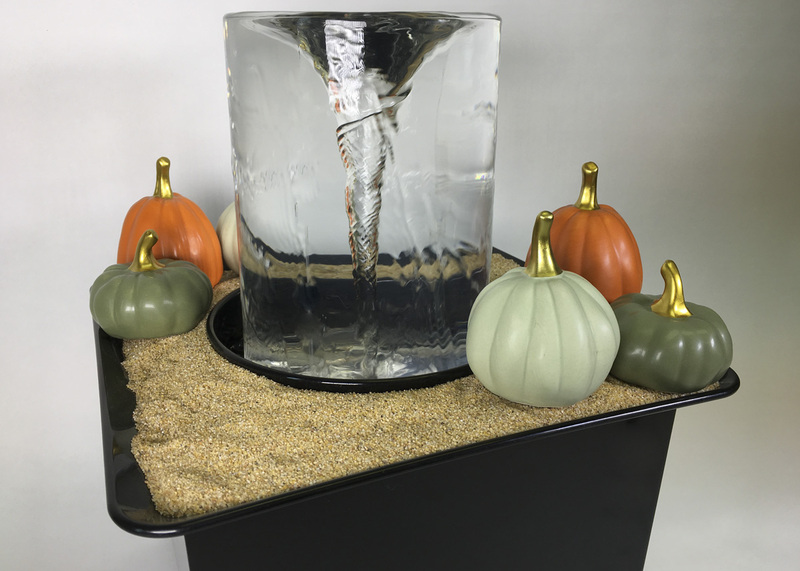 The Quox Creek Vortex Fountain is uniquely designed with a removable tray so you can decorate and re-decorate for every season or holiday. Simply lift off the tray, add your favorite accessories, and put the tray back in place. Create a open-air terrarium, a Zen garden, add Christmas ornaments, or enjoy the sleek, modern, fountain unadorned. With endless possibilities, let your imagination run wild! And share your creations on our Facebook page! Join our mailing list to receive the latest news and updates from the Quox Creek team and the Vortex Shop!